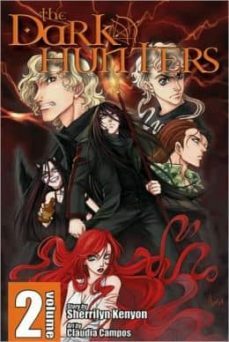 In the war against vampires, mankind has only one hope: The Dark-Hunters. Ancient warriors who died of brutal betrayal, the Dark-Hunters have sworn themselves into the service of the goddess Artemis to protect us. It's a pact with pretty good perks. Immortality, power, psychic abilities, wealth and a cool wardrobe. But it comes with a few drawbacks: fatal sun poisoning and a new, irreparable dental problem. But aside from the fangs and nocturnal lifestyle, it's not so bad. Kyrian is an immortal Dark-Hunter who just lost his Dark-Hunter powers and along with it, his immortality. Now he is faced with the chance to regain not only his humanity, but his very soul. The problem is, it couldn’t have happened at a worse time. Desiderius is closing in and if Kyrian and Amanda are going to save humanity then Kyrian must take the war to his enemy or it may be too late.